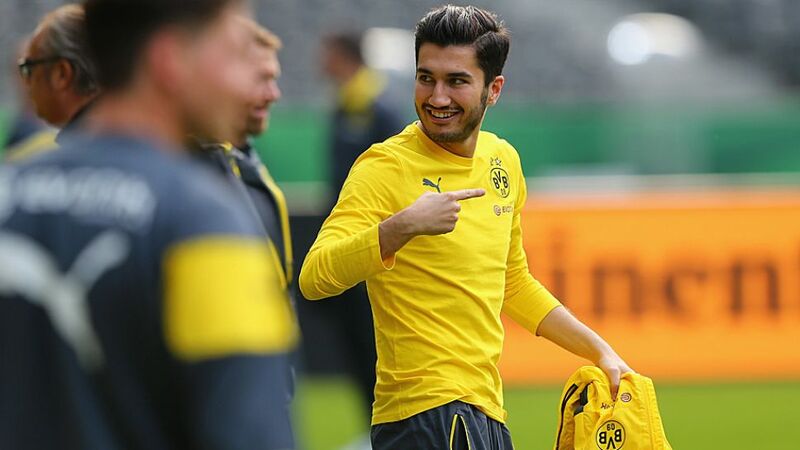 Borussia Dortmund have received a boost with the return of Nuri Sahin to full training after nearly nine months out. On Monday, the 27-year-old was back with his team-mates on the training field for the first time since February, when he picked up an adductor injury. His last appearance for Die Schwarz-Gelben was in the 3-0 Revierderby win over Schalke on 28 February 2015. The Turkey international, who underwent an operation in the summer, is expected to increase his workload over the coming four weeks until the winter break. Dortmund coach Thomas Tuchel was also able to welcome Marco Reus back to full training. The German international has spent the last few weeks labouring with an adductor injury which forced him to miss Matchday 12's Revierderby. The attacker is expected to return to face Hamburger SV on Friday night.